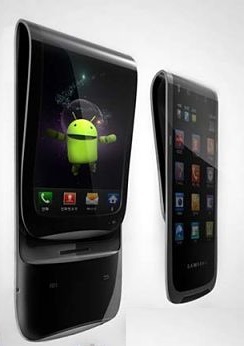 A new report claims the specification of Samsung Flexible Display Phone. Samsung recently announced that it would release smartphone featuring flexible display but rumors was coming from last years about Samsung flexible phone which have flexible display. After many rumor we got a new report clamming the specifications of Samsung Flexible phone. According to report phone has 4.7-inch flexible display with a resolution of 720 x 1280 pixels.it would be powered by a quad-core processor along with 2 GB of RAM and it would runs Android 4.3 Jelly Bean. Phone will have 8 megapixel rear camera with dual-LED flash. There is no information about capacity of the battery providing the juice for the smartphone. This is not an official announcement so we have to wait till official announcement.